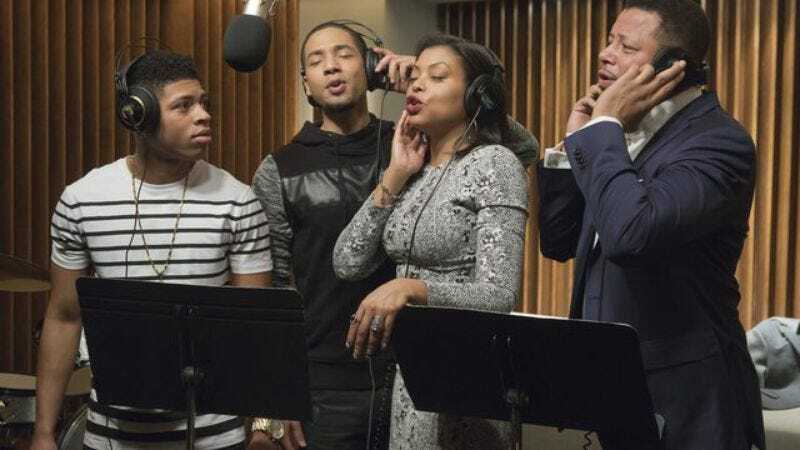 Last season, Empire not only dominated the television charts but also found success in the music charts, debuting its season-one soundtrack to the No. 1 spot on the Billboard 200. As Fox continues to build hype for season two, the network has delivered on one-third of Empire’s promise to showcase “new money, new music, and new power,” debuting two of the upcoming season’s songs ahead of the premiere, The Wrap reports. The first track is “No Doubt About It,” sung by Jussie Smollett’s Jamal Lyon and featuring Pitbull, who will be one of season two’s many guest stars (Zendaya, Oprah, Common, Chris Rock, Ludacris, Alicia Keys, Lenny Kravitz, Mariah Carey, to name a few). The song was previously featured in one of the promos for the upcoming season. The second song, “Ain’t About The Money,” is an unlikely collaboration between oft-feuding Lyon brothers Jamal and Hakeem (Bryshere “Yazz” Gray). “Ain’t About The Money” has also been featured in some of season two’s promos. Unfortunately, neither song features Serayah, who plays Tiana and was recently promoted to series regular. Both songs are undoubtedly better than “Drip Drop,” but neither will get stuck in your head in quite the same way as Hakeem’s gross but catchy anthem. Season two of Empire premieres on Wednesday, September 23, at 9 p.m.